Imagine... 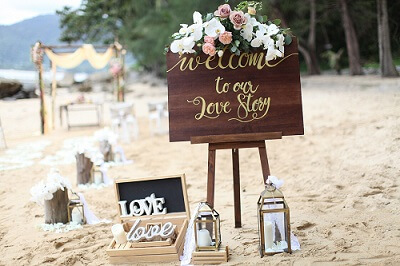 Romantic weddings on the beach set on a secluded Tropical Island offshore from Phuket, just you and your loved one, close friends and families. Many of the offshore islands around Phuket are perfect for your destination wedding in Thailand. With the secluded tropical beaches, emerald waters and breath-taking sunsets, the offshore island’s around Phuket are among the most romantic wedding locations in Thailand. 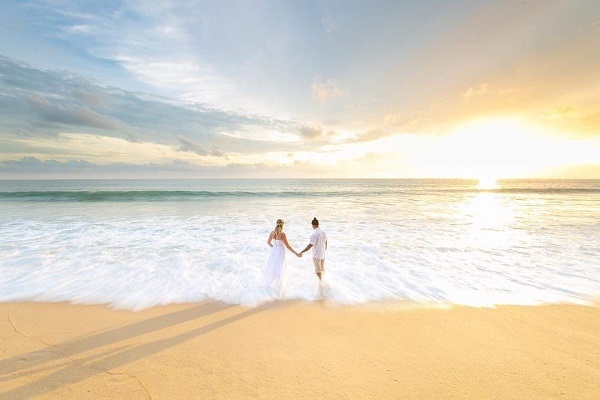 Couples have been coming to Phuket from all over the world to exchange their vows of which most celebrate barefoot on the white sandy beaches of Phuket. 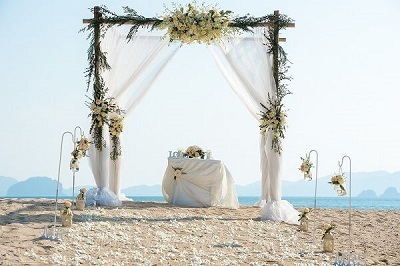 But why not take the extra step and enjoy romantic weddings on the beach offshore from Phuket. 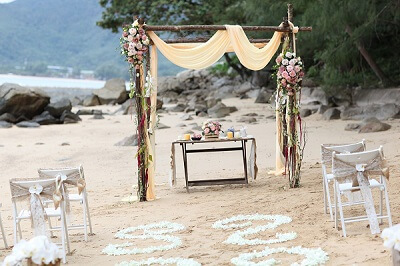 Southern Thailand is blessed with exotic beachside wedding destinations that are perfect for you and your partner to exchange your vows and celebrate with family and friends.
" 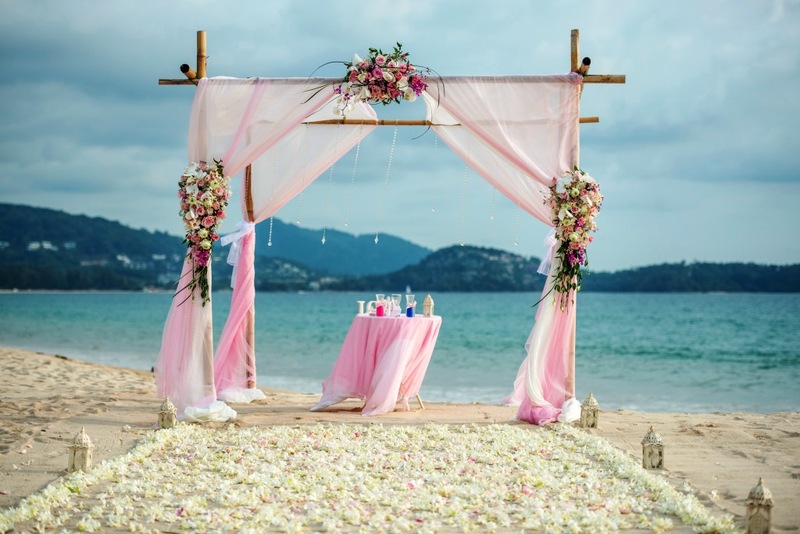 Transform Weddings on the Beach into Luxury Island Escapes"
Our specialist wedding planner is based in Phuket and has extensive knowledge about various locations in southern Thailand, including venues, suppliers and accommodation options. With this knowledge and expertise, she can customise romantic weddings on the beach at countless locations throughout Southern Thailand. 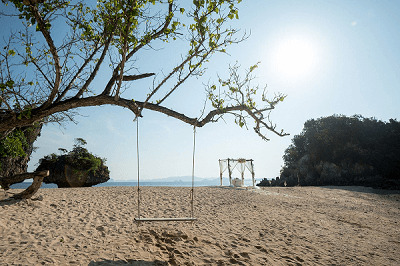 If you would like to transform a beach wedding in Phuket to a tropical Island escape, here are some suggestions of stunning destinations beyond Phuket which are perfect locations to “tie the knot”. 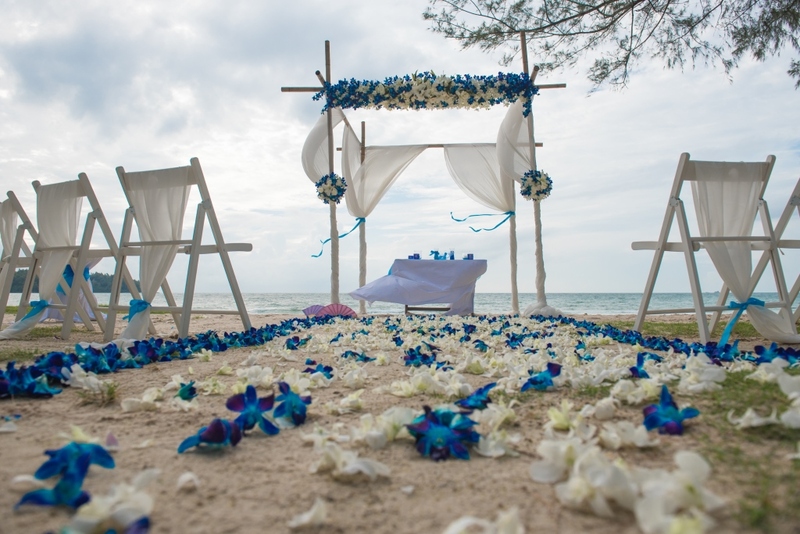 Other wedding destinations well worth exploring are the beaches of Khao Lak or the picturesque province of Phang Nga. For further information about these stunning destinations, or other destinations where you can enjoy weddings on the beach. Contact our professional wedding planner to help you find your perfect destination on the form below. This wedding package allows you and your partner the choice of many beautiful destinations throughout Southern Thailand for your most special day. As with all our wedding packages this package includes the personalised services of the specialist wedding planner and marriage celebrant who will meet with you prior to your special day. Following the wedding ceremony there will be a cake cutting ceremony and snacks. Our specialist wedding planner can organise simple weddings on the beach for just the “two of you”, or for couples who would like to tie the knot and celebrate with a group of family and friends. This package does not include accommodation or a reception dinner; however, both can be arranged by the planner. 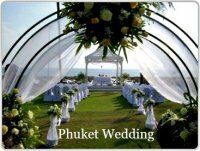 If you would like to know more about this package or any of our other packages that are available for weddings on the beach in Phuket, please complete the following contact form. By completing this contact form your details and any questions you may have will be sent onto our preferred wedding planner in Phuket.